My daughter is in love with everything faery. 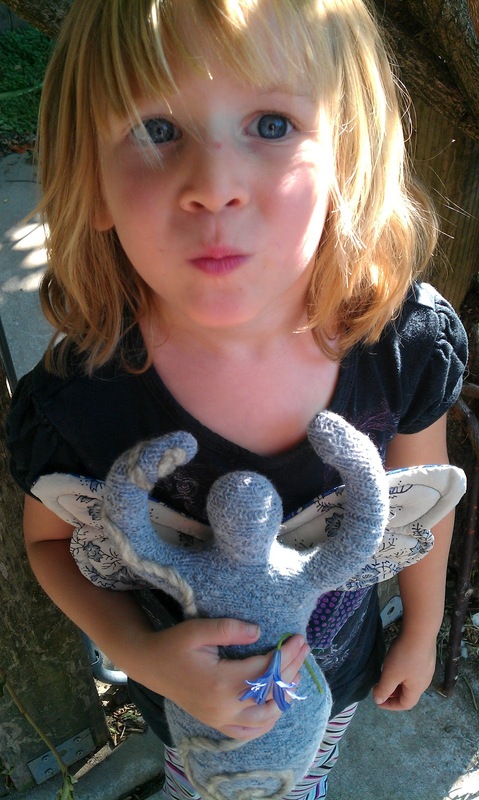 She calls herself 'Cleo the Faery' and has a collection of fairy dolls as well as a couple pair of wings. I have a fondness of butterflies. The beauty, delicacy and randomness of them, the representation of transformation. I love that quote, "Just when the caterpillar thought the world was over, she became a beautiful Butterfly." So I guess it was just a matter of time before I began making wings for my Goddess Dolls. The wings on this Goddess are made from an old silk skirt I picked up at a garage sale. They have fusible interfacing to give them some stiffness and are filled with wool. 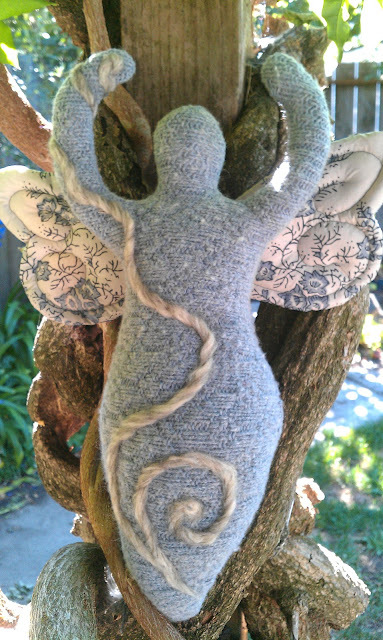 And as always the Doll is made from upcycled wool sweaters stuffed with reclaimed wool. Cleo is in love. She thinks they all should have a hug and a kiss.